Yeah I know this page is aimed at record heads and beat diggers...but we here at the DAILY DIGGERS HQ also have one other vice that cripples our financial stability - buying box fresh kicks!! So for a change we thought we would share with you a pair of the dopest kicks that got us drooling right now, and a pair that have a vintage Hip Hop connection . 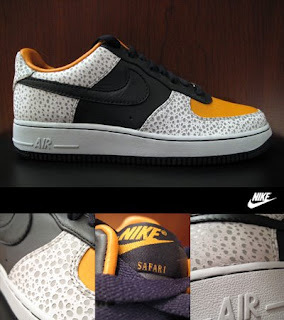 Namely the newly released NIKE AIR FORCE 1 SAFARI. These are a "must cop" shoe....I'm sure you know what I mean. These dope new AF1s are based on the original NIKE SAFARI from the late 80's which appeared in a funky orange, black and brown cement colourway. 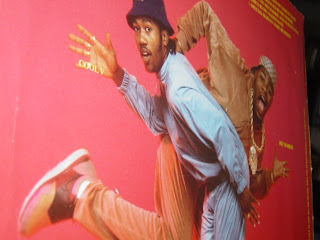 Any Hip Hopper who knows his BDP from his EPMD, and his COOL C from his COOL V will tell you that the Diabolical BIZ MARKIE first brought NIKE SAFARI's to our attention back in '88, when he sported a fresh pair on the back of his classic "Goin' Off" LP (see photos above right and below) together with a brown velour NIKE tracksuit. I remember I NEEDED those shoes. Although I have to add it's a shame about COOL V's Le Coq Sportifs on the same cover!! Now back then in the eighties it was nearly impossible to find these sneakers either in the US or UK, and I remember many sports shops telling me that there was "no such trainer made by NIKE" AGGGH!!! 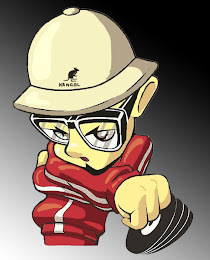 .....so the SAFARI became a holy grail for sneaker pimps. 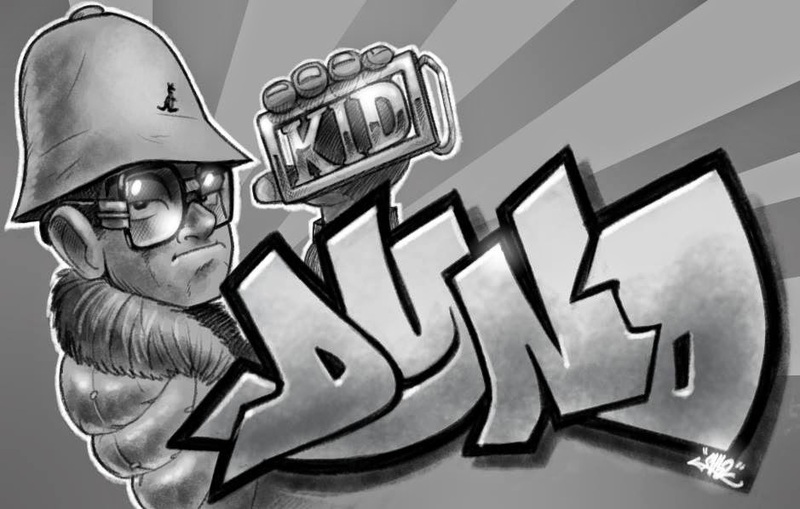 Luckily for us they we re-issued a few years back by the wonderful people in Beaverton and we grabbed a few pairs as soon as they hit the shelves, as I'm sure did many other collectors. Now NIKE have blessed us with the AF1 SAFARI special edition - and although I normally couldn't give a damn about the so-called Limited Edition AF1s that NIKE drench the market with over the last few years (most of them have been, well, to put it bluntly f#cking awful). 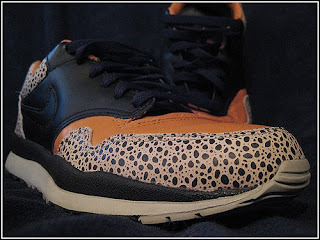 But these SAFARIs look fresh in the box, fresh out the box, and even fresher on ya feet & on the street. And without a ridiculous £100 ($200) price tag too. My only slight gripe is that the brown cement has changed to more of a greyish colour. Oh well.